People often talk about website design and development interchangeably. In their defense, it is difficult to differentiate between the two if you are not familiar with the industry. If you are a client who is simply looking to have your site up and running, then this difference is going to be irrelevant to you. It really is not a big issue to many people; only to the designers and developers themselves. They are the ones who struggle to figure out where their job starts and ends. The server administrator will not care who does the designing and developing as long as they have the material they require to keep the site running. You will not lose sleep at night trying to figure out who does which task in the process of creating your blog. As long as you are able to add content to the blog and make money from it then you are good to go. At the most basic level, the website designers are the ones who are responsible for the functioning of the site. They are the professionals who will come up with the ideas of how a design should look like. The developer’s work, on the other hand, is mostly technical. The designers are the people who do things like coming up with the layout of the site, placement of the images, styling of the fonts and selection of colors. These two professionals work together to make sure that you get the most out of your website. Let’s take a look at each profession individually, shall we? 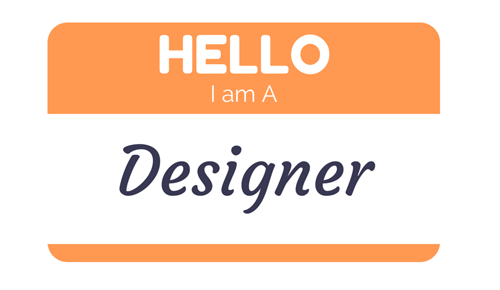 Being a Web designer is almost like being a fashion designer. These two are worlds apart from each other though. While a fashion designer is simply creative and artistic in their work, a Web designer has to be creative but in a very abstract way. The creative type of Web designers is the best. These people have a strong inclination of getting into their clients' heads and ensuring that they see what the client is visualizing. They take the vision of the client and convert it into an impressive, artistic design. There are some designers who study things like typography, usability and user interface design. In their armory, you will find tools like Photoshop, DreamWeaver and Illustrator. They are the people who are addicted to visiting sites like iStockPhoto and Kuler. A designer’s role therefore revolves around developing the creative aspects of the website. 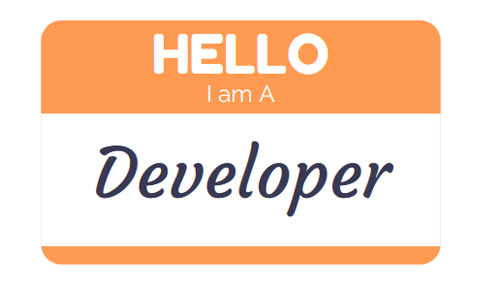 Web developers are essentially programmers, or rather, they are often referred to as programmers. However, their skills typically exceed those of a conventional software developer. They are technical experts with skills in problem solving and programming. If you want to add some new graphic to your website, they are probably the people who will be of most help to you. In this day and era, it helps a lot if you are able to do multiple things at the same time. With that said, it is not uncommon to find designers who do both wWb development and designing. Developers can also design a site. There are some individuals who are simply not getting enough of just being creative. Such people will not only create amazing website designs, but they will also go to the extra mile to execute the design in code. It does help a lot if you are able to do both the designing and the development. There are clients who just do not have time to go looking for these two professionals in different places. At the same time, a large number of clients always want someone or a company that provides both services. They do not want to waste their time moving around in search of these professionals. When you are able to do both the designing and development, you can rest calm knowing that you will always have work coming in your direction. These two careers can be ridiculously stressful. Hence, you should not push yourself too hard to master both. If you are all about being creative and coming up with smart ideas that help to meet people’s expectations, then you should stick to design. Those people who are never going to sleep peacefully at night unless they have managed to write a code in multiple languages will find Web development to be their cure. In as much as it is helpful to know both, it is not exactly necessary. Nowadays, Web design companies distribute work based on what an individual is able to do best. There are those people who are able to design awesome sites even in their sleep, while others do not need code dictionaries. Working with such a company means that you will have to stick to one line and perfect it. The difference between website designers and developers is insignificant if you are simply looking for the services. However, if you want to get into these careers, then you should take some time to know the option that is best for you. They are both lucrative and you can get awesome results from them effortlessly. Phillip Singer works with the best New Orleans Web design and development company and is passionate about the youth and seeks to help them select the best career options.